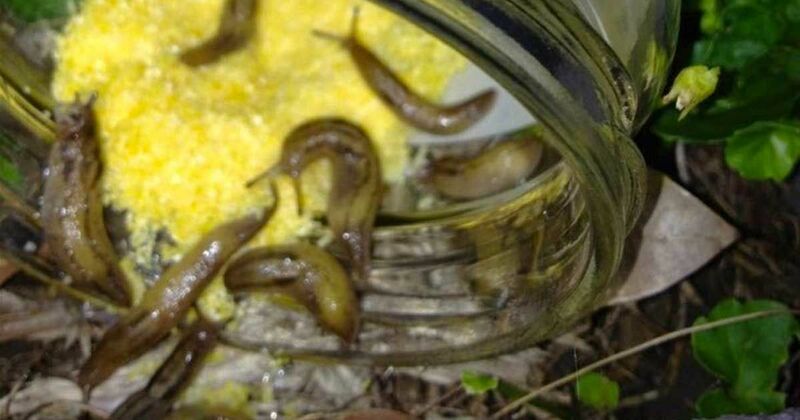 Slugs are a common visitor to any garden, but they are definitely an unwelcome guest. Not only do slugs damage plants, but they reproduce so quickly that they can easily overwhelm a garden space. While it’s true that every gardener has to deal with pests, it doesn’t have to be a complicated process or even expensive. There are a ton of chemical-based solutions, but those can sometimes damage the garden more than they help rid pests. Here, we will discuss ways that you can quickly rid your garden of slugs. Your plants will be safe, and you won’t have to deal with the slimy mess! Let’s discuss your options. Most solutions only take a matter of minutes. Egg Shells Have a few extra egg shell? Don’t throw them out! Not only are egg shells a great ingredient for homemade compost, but they can actually work to get rid of slugs. According to Premeditated Leftovers, broken eggshells scattered on the garden floor can keep slugs away. The broken shells can damage the soft slug body and will definitely keep them from coming back to your garden space. However, the article warns to microwave the shells so that the smell does not attract other pests. BeerUrban Organic Gardner indicates that the secret to getting rid of slugs is found in a glass of beer. Slugs are naturally attracted to beer. Simply place a buried glass in your garden and slugs will be drawn to it, fall in, and drown. Coffee GroundsGardens Alive indicates that a coffee spray is an effected way to remove slugs from your garden. Simply spray a few squirts on your plants, and slugs will avoid them. Earth Easy also indicates that simply scattering a few used coffee grounds can also work. Cornmeal According to Urban Organic Gardener, slugs love cornmeal, but they will die when they eat it. Place a bit of cornmeal in your garden and the slugs will no longer be a problem. Hair Hair is a cheap and straightforward solution for slugs. You can use human hair or pet hair to create a tangled web that slugs will get caught in. Premeditated Leftovers indicates that the best way to use hair is to scatter it around the garden, creating some slug traps. Salt Some gardeners choose to use salt in their garden. It is a useful tool to kill slugs, however; Gardens Alive indicates that this method should not be used too often. This is because it can cause issues with the soil and ultimately damage your plants more than a slug ever could. Slugs can be a nuisance in the garden. Fortunately, there are ways to get rid of them! Which method do you prefer? Share with your friends to learn their favorite slug-be-gone strategy.